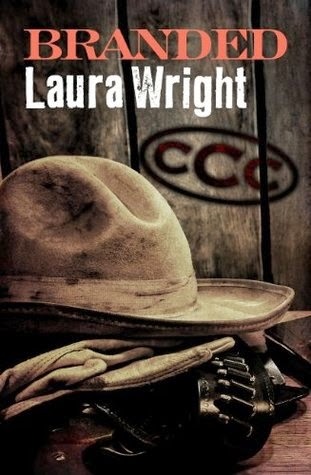 When the Cavanaugh brothers return home for their father's funeral, they discover unexpected evidence of the old man's surprising double life—a son named Blue, who wants the Triple C Ranch as much as they do. The eldest son, Deacon, a wealthy businessman who couldn't wait to leave the ranch and move on with his life, is looking to use his powerful connections to stop Blue at any cost. He never expected the ranch's forewoman, Mackenzie Byrd, to get in his way. Mac knows Deacon means to destroy the ranch and therefore destroy her livelihood. But as the two battle for control, their attraction builds. Now Deacon is faced with the choice of a lifetime: Take down the Triple C to feed his need for revenge, or embrace the love of the one person who has broken down every barrier to his heart. This was my very first cowboy story and I really loved it! I honestly didn't have any kind of expectations although, being familiar with the author's writing style, I knew I was going to like it. Still, we may not enjoy everything from the same author, even our favourites, right? Well, fortunately this is so not the case. "Branded" has a great pace and a fantastic plot. Surprisingly, a good space is given to every brother in the novel—and definitely in the reader's heart—not just Deacon. Of course, Deac is the main male character here, but we get to properly meet every Cavanaugh and feel a connection with all of them. Even though the same tragedy hit the brothers when they were just teens—drastically changing their lives—they're very different from each other. And aren't they all equally fascinating? Attraction, curiosity, and also good laughs make the reader constantly wait for every of those handsome cowboys to appear on the scene. As if this wasn't reason enough to already fall for this book, the friend-to-lovers formula and the sexual tension between Deac and Mac should definitely win you over! I've been captivated by the well constructed plot full of romance, mystery, secrets and surprising twists and, after how this first instalment ended, I really can't wait for the next one to come out!